Over the past 25 years, Gonzalez’s cases have had a powerful impact on South Florida and the entire nation. After a 12-year-old boy was electrocuted at a bus stop in 1998, Gonzalez dug into the case, and the firm’s legal team found that more than 100 Miami-Dade Transit Authority bus shelters, operated by an outdoor advertising company, were improperly wired. In 2005, a jury awarded a $65 million verdict to the boy’s father, and today most bus stops are lit by solar panels mounted on the roof. “It’s extremely gratifying that there have not been bus stop electrocutions since then,” Gonzalez says. In another “game-changing” case, Gonzalez teamed up with Neal W. Hirschfeld, shareholder at Greenspoon Marder in Fort Lauderdale, in a 2003 grave desecration lawsuit against Service Corporation International for overselling cemetery plots at two Menorah Gardens cemeteries and moving bodies to make room for new ones. The case resulted in a $100 million settlement. When it came time for college, Gonzalez, as an only child, received a scholarship to go to a Catholic school provided it was close to home. He enrolled at Biscayne College (now St. Thomas University), and earned his bachelor’s degree, followed by a law degree at the University of Miami. 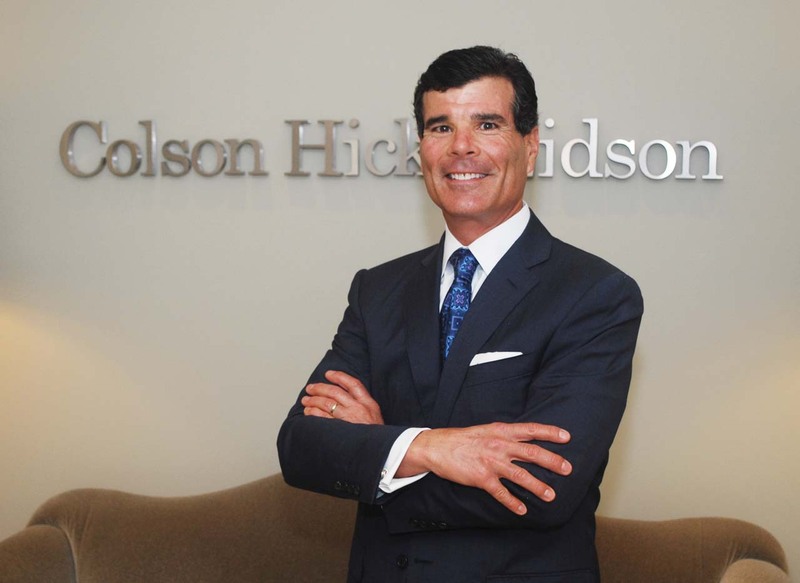 Knowing that he wanted to be a trial lawyer, Gonzalez joined the well-established Miami firm of Fine Jacobson Schwartz Nash Block & England in 1985, and began learning his trade. Three years later, he joined Colson Hicks Eidson, where he has practiced ever since. “At our firm, everyone shares the same philosophy of upholding the highest ethics, while doing the right thing for the client,” Gonzalez says. Through the years, Gonzalez has built a plaintiff’s trial practice that focuses on personal injury, products liability, and mass torts, as well as commercial litigation. He is board certified in civil trial law (personal injury and wrongful death cases) and business litigation law by The Florida Bar and The National Board of Trial Advocacy. To date, he has obtained more than 32 verdicts in excess of $1 million for his clients, including a $61 million award in a medical malpractice case – the highest award in a Federal Tort Claims Act case. In the past four years, Gonzalez has played a key role in two of the largest cases in the nation, serving on the Plaintiff’s Steering Committee (PSC) for the multidistrict litigation (MDL) over Chinese drywall, and the BP Gulf of Mexico oil spill in 2010. In addition to his trial work, Gonzalez has been an adjunct faculty member at the UM School of Law since 1992. He has published numerous works on civil and trial procedure, lectures frequently and mentors younger lawyers on fundamental trial skills. Gonzalez also serves on the UM Citizens Board and the Board of Trustees at Saint Thomas University, which gave him its “Leaders for Life” Award in 2004 – one of a long string of community service and professional service awards he has received in his career. With his wife Janice, Gonzalez enjoys swimming, scuba diving, biking, and riding their two rescued horses, Hammer and Duke. “I also enjoy playing acoustic and electric guitar, but I’m a far better lawyer than a songwriter,” he says with a smile.